Not Your Villain is a delightful superhero story that centres a transgender protagonist. The fact that Bells is transgender is both important to the story and completely incidental at the same time. If you are unfamiliar with what binders and T-shots are, you might miss it entirely because it’s never made a big deal. However, as a transgender character, Bells has a really clear idea of who he is regardless of the shape of his body which serves him well as his powers develop and, conversely, are threatened. I really enjoyed Bells as a character. He’s laidback, friendly and popular at school–the cool guy who sets hearts of all genders aflutter. It has taken him a while to grow this confidence, as demonstrated by the story of how he came to be called Bells. He also has a deep and abiding affection for his core group of friends (which is returned in full–one of the best parts of the book). And he believes in doing what is right, even when that conflicts with his career as a superhero. The story is set in postapocalyptic America, where a massive solar flare triggered superpowers in the world’s population. The Heroes’ League of Heroes was formed and trains people who have manifested these powers, skimming off the best to join their ranks. They have a counterpart Villain’s League which has also been secretly set up by those in charge of the League of Heroes. Unsurprisingly, one of the central themes of the story is about powerlessness and it manifests in a number of ways. Having lost her powers in the first book, Abbey struggles to come to terms with this. Emma–the only one in the friendship group without powers–pushes back at being excluded, even when the others feel it’s for her own safety. And the adults in the story repeatedly try to sideline the teenagers, despite the older generation’s lack of an effective plan. This last part particularly frustrated me and made the story very relatable. The previous book’s theme of information manipulation and the way those in power rewrite history to further their agendas is also present in Not Your Villain. Sadly, it’s a timely topic. There is also a romance plot (which won’t surprise ongoing readers). However, it’s downplayed a little more than in Not Your Sidekick. The first 100 pages of the story overlap with the previous book, telling things from Bells’ perspective. This means that in order to avoid repetition of certain scenes–such as an argument between Bells and Emma that took place in Not Your Sidekick–parts have been glossed over. I found this made it a little hard to settle into, though this feeling went away once we began to break new ground. Nevertheless, I found the story a little vague in places. There was a moment in the climactic sequence where some hand-waving is done to get Bells from one place to another. I realise this was done so as not to interrupt the drama of the moment, but it strained my suspension of disbelief and I feel a better solution could have been found. Not Your Villain also suffers from middle-book syndrome, leaving me with the feeling that the plot hadn’t advanced much. It may have been setting up elements for the next book, but I found the overall arc a little unsatisfying. 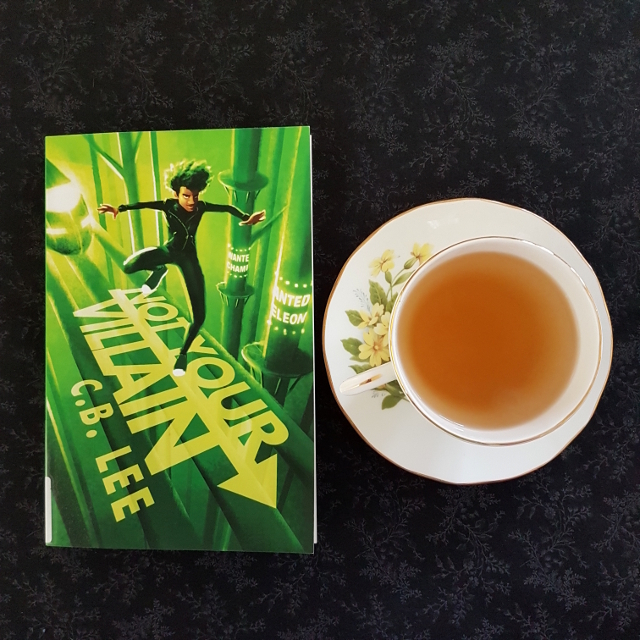 Despite that, Not Your Villain was a wonderful read, full of affection and friendship. I’m looking forward to finding out how the series concludes.